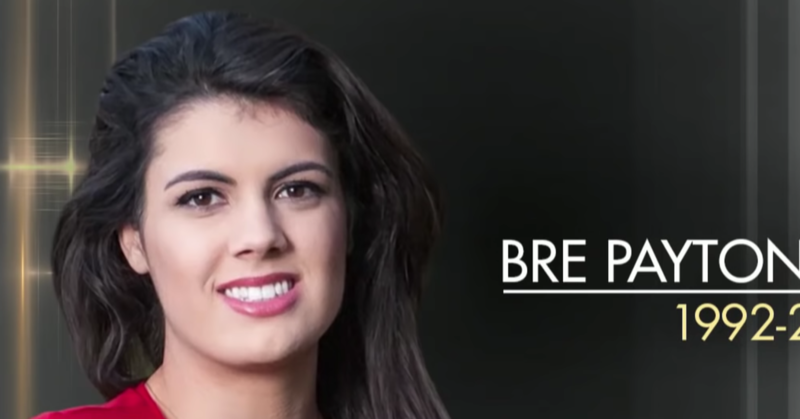 Bre Payton, a writer from a conservative online news magazine and guest commentator for the Fox News Channel, died Friday in San Diego. She was 26. Her death was confirmed by online newsmagazine The Federalist. Ms. Payton, according to her family, had H1N1 flu, also called swine flu, and encephalitis. Payton began writing for The Federalist in April 2015. The site said it quickly became a rising star regularly featured on Fox News Channel and Fox Business Channel. 1; not out of ambition, but because she wanted to change the world. In December 2016, Ms. Payton wrote a review of a produced music video for Kanye West's song "Famous," in which the artist nudged a number of naked celebrities like Taylor Swift and Donald J. Trump before his election as President showed. "Kanye's latest work is not an artistic product In genius-level trolling, it's the manic work of a stubborn man who itches through a very personal and grotesque violation of a group of individuals," Ms. Payton wrote in the review Headline: "Kanye West is a tyrant. Their most recent piece on December 20, published on the Federalist website, described a senior living center in Chehalis, Washington, where residents were told they could not use cribs, the Star of David or a crucifix decorating common areas. She has also made appearances on MSNBC, CNN, and NPR, and her work has appeared in The Wall Street Journal and the New York Times, among others, according to The Federalist. Payton was born on June 8, 1992 in California, the son of George and Cindy Payton. She attended the Western Christian Schools Private Satellite program in Covina, California, and graduated from Patrick Henry College, Purcellville, Virginia, where she graduated in political journalism.